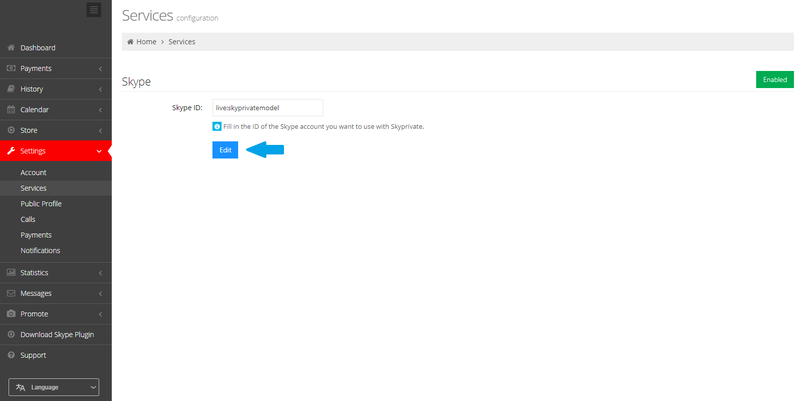 You can change the Skype ID/account connected to your SkyPrivate account, so you can use another Skype account to log into the Payperminute plugin to provide shows. To do that, please log into your SkyPrivate account, and in Settings-->Services click on the "Edit" button as in the image below. 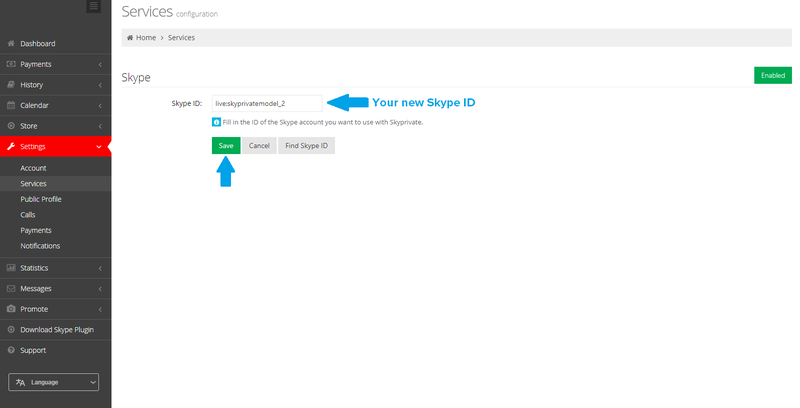 Fill in the ID of your new Skype account and click on the "Save" button. Your change request will be approved by our SkyPrivate Admins within 24 hours.